I have a couple of apologies to make. The first is to the team at What Car? who went to all the trouble of going undercover to investigate online buying sites, only to have me ignore their advice. The second is you, the reader, because you’re about the have to most irritating earworm advert going through your head for the next two hours. I mean “We buy any car! 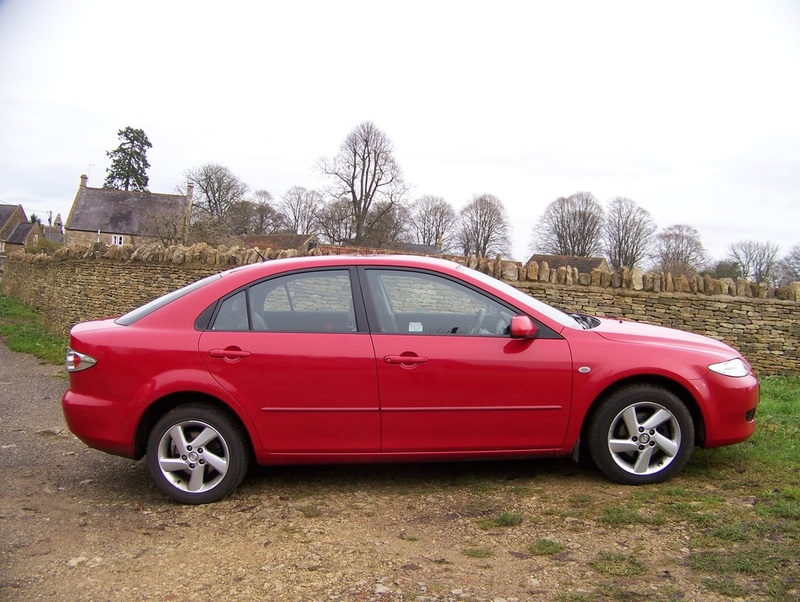 Dot caam” because I’ve just sold our 2005 124,000-mile Mazda6 to them. In the Awards issue 2012, What Car? touted a rather nice MX-5 to six online buyers. They found that the values were between 19% and 38% below trade value. Plus, the firms generally gave a quote, then knocked the reporter down by a chunk when they inspected the car. Their advice was: unless you’re desperate, trade your car in, or sell it privately. Now if we’d known two months ago what we knew now, we (probably) would have sold our Mini Cooper S Convertible privately and traded the Mazda in when we bought our Mini One Diesel. We advertised the Cooper, but after a month of near telephone silence and a couple of insulting offers, we decided to trade that car in and keep the Mazda as a runabout. Within an hour of our signing on the dotted line, an eager buyer called and bought the Cooper, so we didn’t trade in either car. (In fact, the trade-in offers we had were far from generous, so that may not have been a tragedy). We considered advertising privately, but as the desirable Mini Convertible took so long to shift, we weren’t hopeful a high-mileage Mazda6 would attract people out into the wilds of Wiltshire, especially not during the cold, dark winter months. If we held on until spring, we’d have to pay for more tax and insurance. A friend had recently sold her somewhat battered Alfa to We Buy Any Car (Dot Caam) and said they were very fair, so we thought we’d have a look. I tried Bestcarbuyer.co.uk, the company that fared best in What Car?’s test, but they said the Mazda was older than they liked to take, and offered just £500. I put the car’s details on to the WBAC website and got a quote of £1,055 ‘guaranteed’ for seven days. That sounded good, so I made an appointment to take the Mazda to the nearest agent, in Filton near Bristol. To imagine just how much how much I wasn’t looking forward to the sale, think dentist, or mammogram. Richard couldn’t get the time off, so it was just me. I imagined making my way through ranks of old wrecks to a desk at the back of a car supermarket. The used-car salesman would beam as he saw a lone woman heading over and automatically knock £200 off the quote. I’d have to haggle – and I hate doing that. I'm happy to report it was nothing like that. The address wasn’t a car salesroom, but an anonymous modern office building in a business park. I was greeted by a smiley receptionist, who clearly spends a lot of her time confirming that yes, you are in the right place. I was taken to an office by Jason, who was friendly and businesslike while he looked through all the paperwork and while we checked over the car together. I’d been surprised the website didn’t ask more about condition, simply saying the quote assumed there was ‘no damage’. Bubbles of rust were starting to come up on the Mazda’s rear wheelarches and the alloy wheels were corroded, so I guessed I’d get knocked down on that. Jason also found a tiny dent I hadn’t spotted. Once we were back in the warm, he fed what he’d recorded into a standard form on the computer. The valuation was recalculated and it spat out the figure of £889, minus the £49.99 fee, which took it down to £832. Richard and I had agreed if it was £800 or more, we’d go for it, so I said yes. Parkers Used Car Price Guide reckoned a Mazda6 of this age and mileage would be worth £850 in poor condition, I’d say ours was fair rather than poor, but doing it this way we hadn’t had to pay to advertise, and we were able to keep the tax disc and claim a refund. Plus, because our friend recommended WBAC to us, £40 M&S vouchers will also be winging their way to her and to us. Once we’d shaken on the deal, I asked Jason if he’d mind appearing on the blog. I told him I thought this was a much less nerve-wracking experience for women than going into a dealership. He said that the market is now extremely customer-driven, and WBAC relies on good feedback on the website and word of mouth to get business. He also said that he still sees about 20 ‘clocked’ cars per week, or cars with service interval lights disconnected to disguise the fact they hadn’t been serviced. The cars are all sold on to the trade, so he has to be just as careful as the customer, and the price must leave room for a slice of profit. I know, if circumstances had been different, we might have squeezed a bit more out of the Mazda, but this was quick and truly painless – and it’s one less thing to worry about at Christmas. Given our circumstances, I think it was a good way to go.